I love chocolate in nearly any form. I say nearly, because I draw the line at eating things like bugs that have been dipped in chocolate. That’s just an abomination. Pretty much anything else goes though. Chocolate cake? Please! Chocolate bar? Heck, yes! Chocolate in my coffee? Now you’re talkin’! The other day I suddenly had the strongest desire to drink chocolate milk. 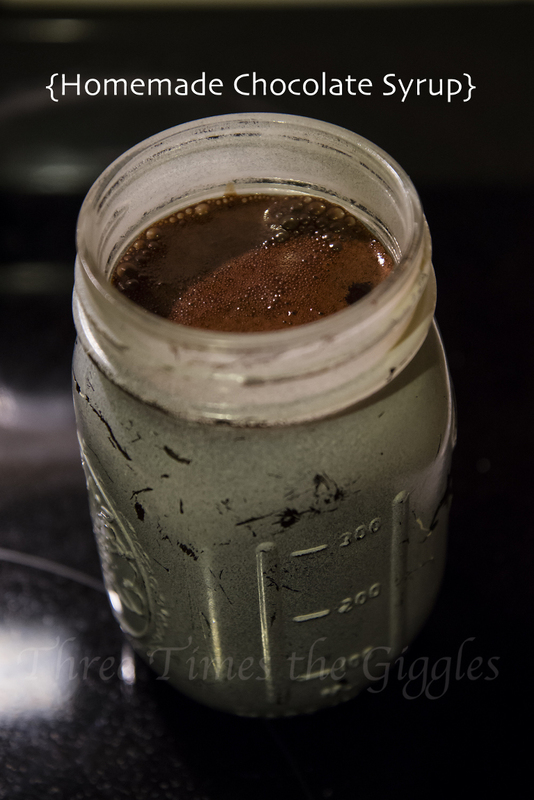 Two problems – I’m too cheap to buy chocolate syrup, and the store bought stuff has too many ingredients anyway (I counted 12 on one label and most didn’t sound appetizing!). Solution? Make my own! Mix together the cocoa and sugar, so that no cocoa lumps remain. Then, add the cold water and salt. Mix that together until relatively smooth, and bring to a boil over medium heat. Stir it occasionally while you’re waiting for the boil, and as soon as it’s boiling remove it from the heat. After the chocolate has cooled a bit, mix in the vanilla. Bam! 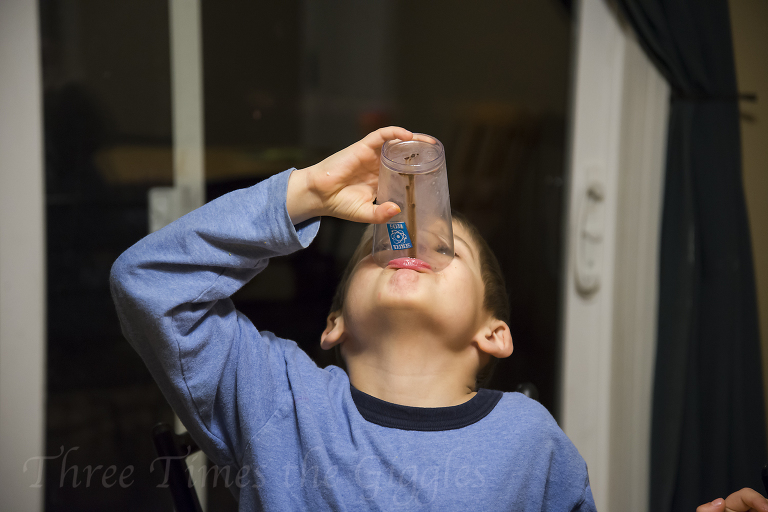 Homemade chocolate syrup that’s good to the last drop! Right, Chase? Note: Store your syrup in the fridge. I find I also need to give it a quick stir or shake before using it, because it starts to separate a bit if left alone for too long. Sometimes I am super lazy and just put milk in the blender and add equal parts of cocoa powder and sugar with a splash of vanilla, it is pretty tasty!